The TBR list is something I’ve used for years. It’s a personal list of books I intend to read. At first it was one list, but these days it has become two. The first is labeled URGENT. Books I’ve promised to read for other authors or books with similar stories to my own. When there is a lull in that list I’m able to pluck a title from my other list. This one is filled with recommendations from many of you along with titles I can’t resist. Sadly, there are some books more than ten years old on there – too many good ones out there to ever reach the end of this list. Like laundry, the TBR list will never go away. 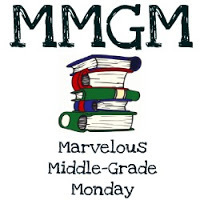 If you’d like to see what others have on their MG TBR list, a good place to start is through Goodreads Popular Middle Grade list. They compile it according to how many times a middle grade book has been shelved (meaning users have either read, want to read, or are reading). These are the books getting the most all time buzz among readers. Following is their top 25 (I took out the Harry Potter and Percy Jackson Sequels). I’ve read 16. Can you top that? Wow. Only 4 for me. I must read many more of these. FLORA AND ULYSSES was not made by Jennifer A. Nielsen but good post! Fixed. Thanks for catching my error! I’ve only read a handful of these, but there are many here that don’t really interest me. I have a huge TBR list as well. Yes, laundry is a good analogy — never ending. I’ve read seven – I must try some more! Neil Gaiman is a fabulous writer and I’ve not read either of his books on here, so I must try those. One of my friends really loves Coraline. My TBR pile is roughly 30 books long. Often it seems I’ll never get to the end, although I’ve been reading a lot more recently.